Are you getting the most out your customer relationship management (CRM) software? If your business aligns with the statistics, chances are, you’re not. Less than half of sales teams even use their CRM regularly – let alone delve into the more complex features (CSO Insights). The reasons are varied, but the common denominator is this: it’s hard to learn new technologies, and even harder to know how a new tool will benefit you until you’ve had time to acclimate to it. If you’ve had your CRM for awhile but still feel like you’re missing something, it may be time for a deeper dive into some of the less obvious features your solution has to offer. Your CRM isn’t just a place to store contact information and blast-off emails to your customers. It’s a sales and marketing hub, when used to its full potential, and can actually save you and your team a lot of time. If you or your sales staff is struggling to get much use out of your CRM, it’s time to explore some of the more niche features that might be exactly what your specific business needs. And although they’re not exactly secrets, they certainly seem that way, given that so few businesses take advantage of them. 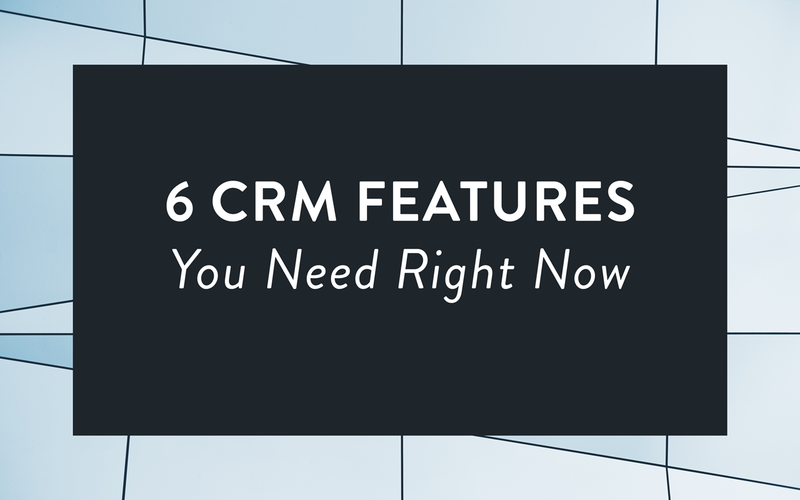 So go ahead, read up on the best-kept CRM secrets and put them to good use. You may keep track of how hot or cold your prospects are using tags, notes, or other methods – but with some CRM software, you can actually automate the lead scoring process. Assign points to different user behaviors to indicate how serious they are about buying. For instance, low-scoring behaviors might include clicking a display ad, downloading a lead magnet, or visiting your blog. High-scoring behaviors would include downloading a lead magnet, calling a sales rep, or booking a demo. Your CRM’s main dashboard may be where you spend all of your time, which makes sense: it’s the first thing you see when you open your software. It’s nice to get a big-picture view of what’s happening with your contacts, whether you have new contacts, and what’s generally going on with your email campaigns. But some CRM programs offer multiple views, where you can filter your data to show specific information. Do you use a separate software solution for creating projects, tasks, and assigning them to team members? Your CRM might be able to do this for you — keeping all of your marketing and sales projects in one place. Assign tasks to your sales team, provide deadlines, and get notified upon the completion of specific milestones. There are a million and one ways to capture leads on your website: WordPress plugins, third-party services, and form creation tools built-in to popular website creation tools like Squarespace and Wix. But these often require clunky or manual workarounds to get your leads moved over to your CRM. If this sounds like you, cut out the middleman. See if your CRM has an option for form creation on your site, so you can import leads automatically (and instantly!) to your contacts list. Need to justify marketing or ad spend to your boss, or client? Want to track quarterly email performance, or compare the activity of different members of your sales team? Many CRMs have built-in custom reporting, so you can generate exactly the info you need for your business use case. If you’re using your CRM the same way you’d use an Excel spreadsheet, we have a message for you: you can do so much more! So go out and take another look at your CRM to see what you’re missing. It might be just the thing you need to save yourself precious hours every week.